Oh yes, you read that right - Apple Pie Humus! I was inspired to make this delicious creation by the tasty Cinnamon Sugar Pita Chips that I kept seeing at the store. Although I wanted to buy a bag to just stuff my face with, I knew that wasn't an actual valid reason to buy a bag... But now I've got myself a reason - to pair with this Apple Pie Hummus! 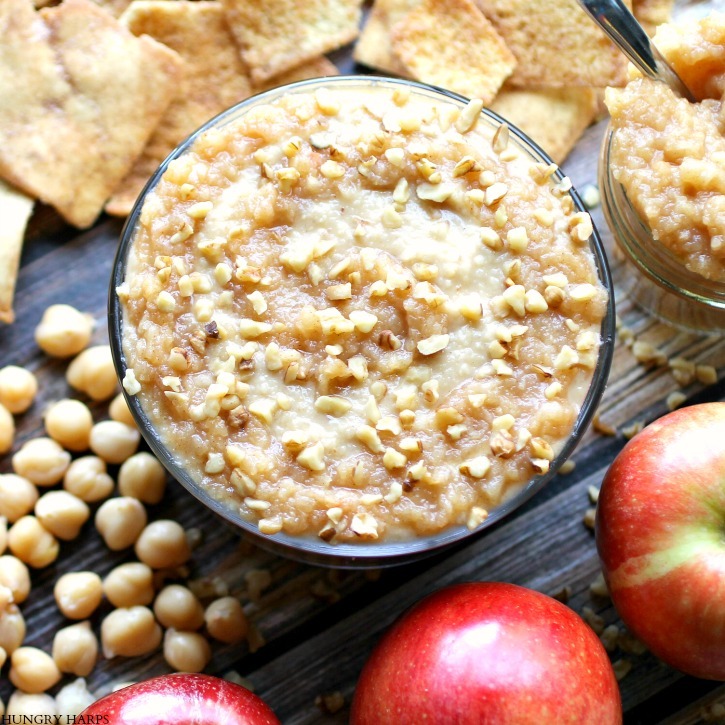 Made with Easy-As-Pie Apple Pie Filling, this Apple Pie Hummus is a breeze to make and has all the flavors that we love in Apple Pie. It's almost hard to believe that there is a can of garbanzo beans in this dip - it tastes like an apple-y dessert that was made just for springtime. Is dessert hummus even a thing? 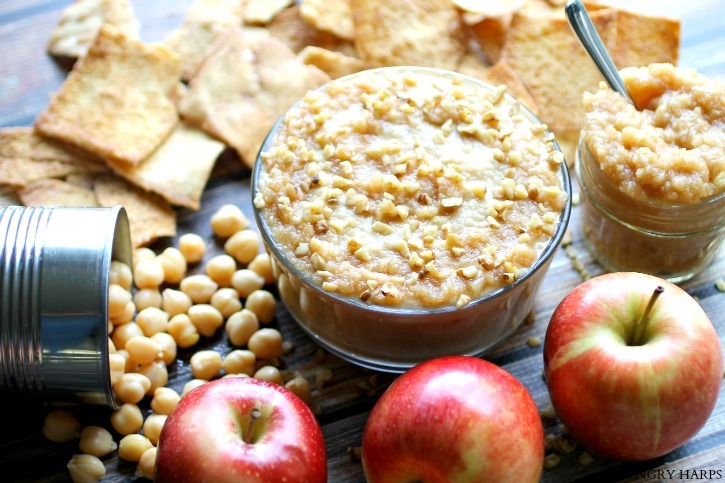 If there wasn't before, I'm thinking this Apple Pie Hummus could certainly qualify for the job now! 1. Place all ingredients in a food processor and process until smooth. 2. Chill for at least 30 minutes in refrigerator. 3. Serve with cinnamon sugar pita chips or graham crackers. Optional: Swirl a couple tablespoons of apple pie filling on top of hummus before serving and sprinkle with chopped walnuts.